Text Santa: The Launch, is an one-hour long, fun-filled entertainment extravaganza live on ITV1. The show, presented by Ant and Dec, Phillip Schofield, Holly Willoughby and Christine Bleakley, will combine surprise studio items, performances and amazing pre-recorded entertainment content that celebrates the spirit of goodwill and good fortune at Christmas. The presenters will be joined by special guests from the world of music, TV and show business with performances from the likes of Pixie Lott and guest appearances from Jim Carter in character as Downton Abbey Butler, Carson; Harry Hill and the X Factor’s Tulisa. The show will also feature a unique rendition of ‘Santa Claus is Coming to Town’ with appearances from Torvill and Dean, Diversity, The Wanted and more Santas than you have ever seen before! A second, 2 and 1/2 hour show, will air on Christmas Eve. The aim of Text Santa is to raise awareness and money for those most vulnerable during the festive period and will appeal to the public to raise money mainly via text donation. The appeal will be promoted through primetime programming on ITV and supported by activity from key partners including ASDA and Vodafone in stores nationwide. 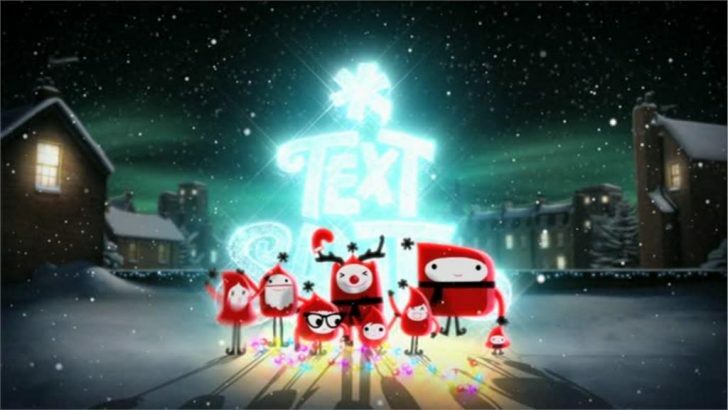 Vodafone UK is delivering Text Santa through their JustTextGiving service. This means that anyone on any network can Text Santa – all messages are free to send and every penny donated will go straight to the Text Santa charities. UK tax payers can also claim Gift Aid on their donations. The Text Santa appeal is working on behalf of a chosen group of five national charities and four hospitals for sick children. The confirmed UK wide charities are Carers UK, Crisis, Help the Hospices, Samaritans and WRVS plus Great Ormond Street Children’s Charity, Helping Hand, Noah’s Ark Appeal and Yorkhill Children’s Foundation.